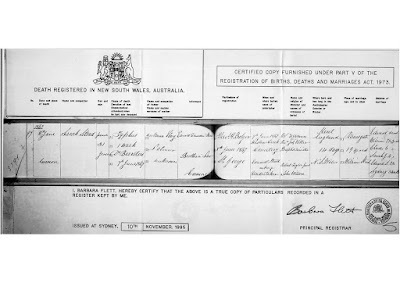 Olive Tree Genealogy Blog: Abandoned in Australia Part 3: Love those Aussie Death Certificates! Abandoned in Australia Part 3: Love those Aussie Death Certificates! Instructions followed explaining how I could order a copy of Sarah's death certificate. It was an exciting day for me when it finally arrived! 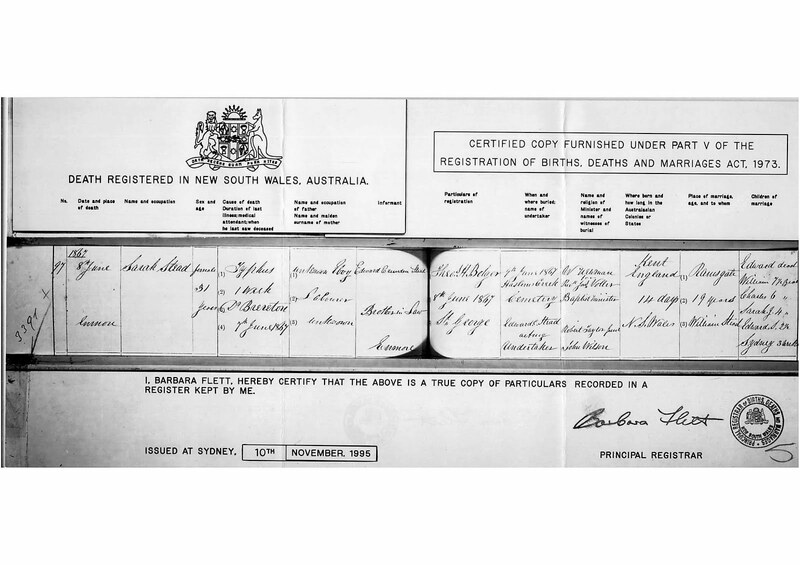 I had not realized that Australian death certificates provide details on all children of the deceased! 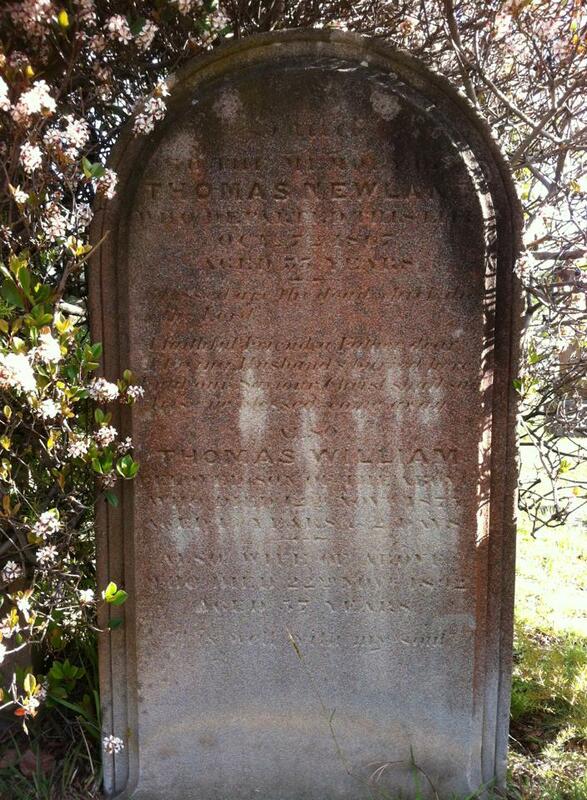 Also registered was the death of Ebenezer T. Stead, died 1867, parents William and Sarah. According to the actual death certificate, Sarah died of Typhus on 8 June 1867, aged 31. Typhus is a disease transmitted by body lice, but ship Typhus takes a different form, and is transmitted by rat fleas, which bite humans and pass the disease on to them. It has a high mortality rate and is usually found in impoverished, overcrowded conditions. It was looking like Sarah had a son (Ebenezer), but died shortly after, and that her son Ebenezer died also. What a tragedy! 31 year old Sarah, pregnant with her 5th child, embarking on a new life in a new country with her husband and 4 children under the age of 7, bitten by rat fleas and dead 2 weeks after arriving in Sydney. 8 June 1867. Sarah Stead, female 31 years old. Died of Typhus of 1 week duration. Father unknown Elvy [should be Elvery], labourer. Mother unknown. Informant: Edward Crunden Stead, brother-in-law, Ensmore. Registered 8 June 1867 St. George. Buried 9 June 1867 Haslam Creek Cemetery by Edward C. Stead, acting undertaker. Baptist minister officating. Born Kent England, in Australia 14 days. Married in Ramsgate at age 19 years to William Stead. 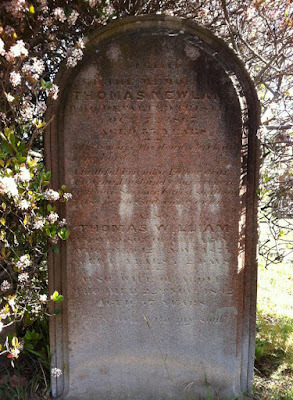 Children listed: Edward (dead); William 7 and 1/2 years old; Charles 6; Sarah J. 4; Edward S. 2 and 1/2 years; Sydney 3 weeks. Her brother-in-law Edward Crunden Stead was the official undertaker where Sarah was buried at Haslem's Creek Cemetery, now Rookwood Cemetery. I now had so much new information that I hardly knew what path to follow next in my genealogy research! I had all Sarah's children - their names and approximate years of birth. I had a clue to finding Sarah's marriage to William Stead. I had much more than I set out asking for! My original intent was simply to find out what happened to poor Sarah and her two abandoned sons. Forcing myself to not become distracted, I tried to focus on Sarah and her sons William, Charles and Edward. Who went back to England with my great-grandmother Sarah and her father, and who was left behind in Australia? That was my burning question now. Have you tried Trove for newspaper records. This might be the Sarah in your post.